A common feature in party accessory stores, dance clubs and college dorms, black lights emit a highly saturated indigo quality. While the mental effect of these lights can range from ethereal to disturbing to deeply soothing, the ultraviolet nature of the light can cause more harm than the average bulb. The "black light" emitted by the deep-purple bulbs and tubes is an invisible wavelength of light with UV qualities. As the light leaves the source, photons can strike certain materials, releasing other photons that cause certain objects and substances to glow. 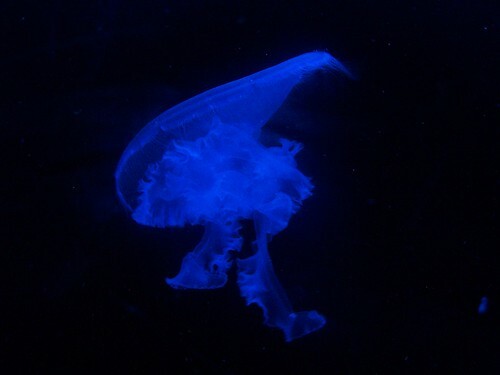 When the filament is lit, the longer UV wavelengths bypass the glass and are not filtered by the dark-colored dye: the reason for the light's violet and blue color. While the majority of cited physicists and entertainment professionals tend to agree that a limited exposure to black light will not likely cause harm, a number of recent claims have regenerated scrutiny as to the health effects of UV lights. Exposure to UV wavelengths, initially believed to be safe due to their non-ionizing quality, has been linked to possible growths of malignant melanoma. While no studies have been conducted to reproduce this effect on humans, recent studies advise a limited exposure under the lights. Illumination given off a black light is similar to sunlight in that it is regarded as harmless to the eyes--unless you stare at the source without protection. In fact, as an ultraviolet ray, black light is part of a spectrum included in natural sunlight. The danger, much like other light bulbs, comes when prolonged eye contact occurs with the black light, causing permanent retina damage commonly referred to as "snow blindness." Since black light, for the most part, is not visible, it is very difficult to gauge its intensity. According to a study conducted by the International Radiation Protection Association, the limit for exposure to an ultraviolet wave of 60 joules/meter is eight hours. Considering that the average 40-watt black light bulb produces 40 joules each second (which we then divide by the walls and ceiling of the space) this puts the average "exposure rate" being reached within a half hour or less. When considering whether or not to include black lights as an addition to your home or arts venue, keep in mind these facts: under prolonged, heavy UV exposure many plastics turn a brownish yellow color. According to Investigative Ophthalmology, mice exposed to UV wavelengths for 12 hours a day over a course of 90 weeks developed extreme mutations in the lens and retinas. Also, "nuclear cataracts," the term for a permanent tan-shading of the eye, have occurred in humans after experiencing much heavier exposures of UV than those found in a black light. 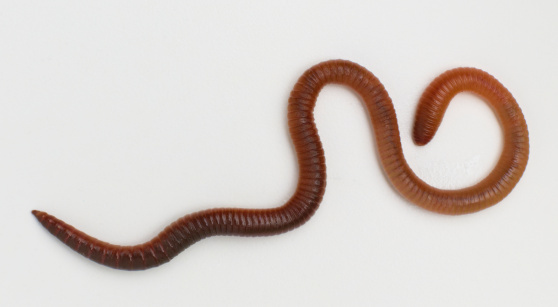 How Does an Earthworm Sense Light?